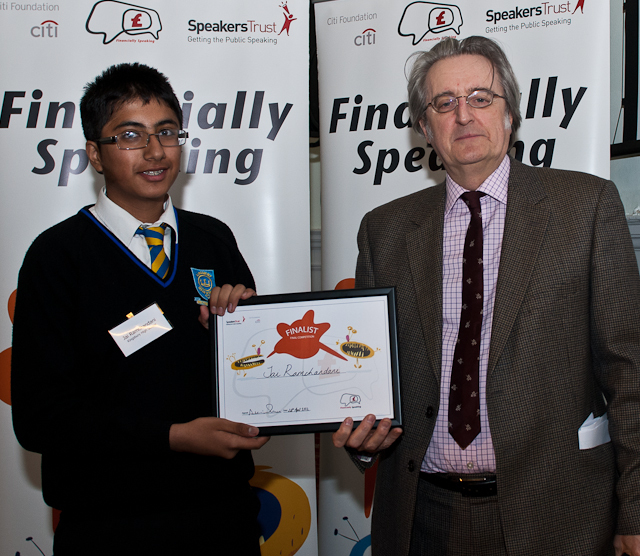 Year 9 students, Jai Ramchandani and Sahil Kotecha, represented Kingsbury High School at the Financially Speaking Final held at Bridewell Hall in Fleet Street on Tuesday 24 April 2012. The students were selected out of 30 Year 9 students by members of Speakers Trust at an event held at the school earlier last term. Kingsbury High School was the only Brent school invited to take part and was only one of 2 from schools north of the river. The students acquitted themselves extremely well. Out of the 20 schools, 10 places were awarded at the end of the event of which Jai took 5th place. A video of Jai’s speech is available for viewing on the Speakers Trust YouTube channel. On Friday the 23rd of March, six Kingsbury High School students attended the 2012 Deutsche Bank Debate Mate Cup Competition at London School of Economics. The students were selected by Law undergraduate mentors’ of Kings College University, London. The Deutsche Bank Debate Mate Cup is a competition run by a charity organisation known as Debate Mate. Every week mentors come along to train and gear Kingsbury High School students to develop their oracy skills so that they can take part in national competitions such as the Deutsche Bank Debate Mate Cup and the Urban Debate League. 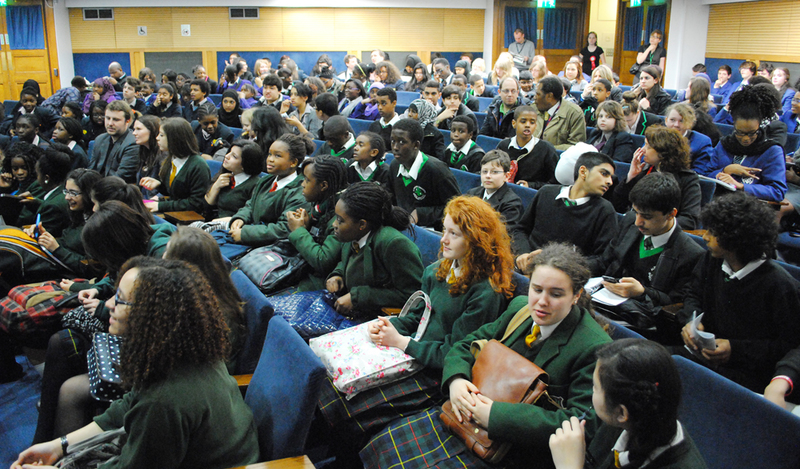 The competitions involve nearly a hundred schools who are encouraged to challenge each other in debates. Kingsbury High School students worked extremely hard to prepare for the event, which involved three debate rounds. Out of the three rounds, students were provided with one pre-released motion and the other two were revealed 15 minutes prior to the debate. Students were up against a new team from a different school in each round. The motions were challenging with statements such as: ‘This House believes that the UK should intervene militarily in Syria’. Within a short period of time and intense pressure the Key Stage 3 Debate Club team were able to come out successfully from 2 of the 3 debates. They all worked very hard to gain support for their point of view and to engage their peers in serious discussions about issues that affect us all. At the end of the day and after many live performances, students left with precious advice from judges who professionally take part in debating competitions from all around the world. Kingsbury High School is ranked first place, out of 107 schools, in the final league tables of the Artemis Urban Debate League 2012. This was a competition that took place between schools all over the nation. Kingsbury High School was able to succeed in gaining the highest score and maintain it after two hotly contested rounds. For each round, students had to prepare for a pre-released motion and on the day, two debate rounds took place. Out of the two, one of the motions was pre-released and the second debate would be a blind one. Students performed brilliantly, throwing their powerful thoughts out to the audience with conviction and force. The judges placed both teams which were representing Kingsbury High School Debate Club at the top. Students now have one more round to take part in and are currently in training for the grand final which will take place at the House of Lords. The students are very excited about the prospect of performing at such a prestigious venue. When you’re learning a foreign language, why is vocabulary like Lego? That was the question put to Year 7 as they prepared to enter the Vocab Express National Championship – a vocabulary-learning competition which took place in March. The answer is that vocabulary is like the building blocks of a language: with more words you can build better sentences and express yourself more creatively. Over 90 pupils from Year 7 put this into practice by rising to the challenge the week-long contest, competing against schools from across the country to see who could learn the most new words in a week. Thanks to their determination and excellent effort, Kingsbury came 6th in the national Medio Challenge Cup. There were some excellent individual performances: Parag Pindoria, Ritik Patel, Nikhil Shikotra, Abarathan Jeevaraj and Nikita Shikotra all scored more than 10,000 points. 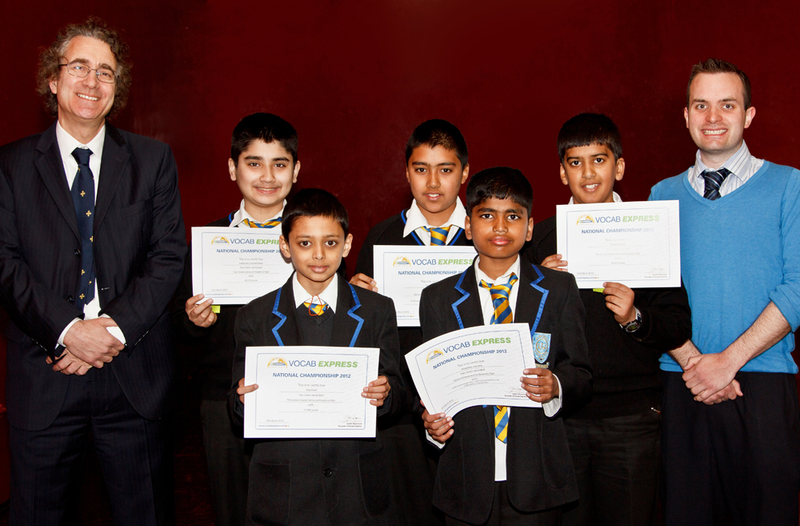 The school’s top scorer was Hasibullah Ghulamhaidar in 7G, who scored 28,215 – putting him in the top 25 in the country for his score in German. Congratulations on this excellent achievement! 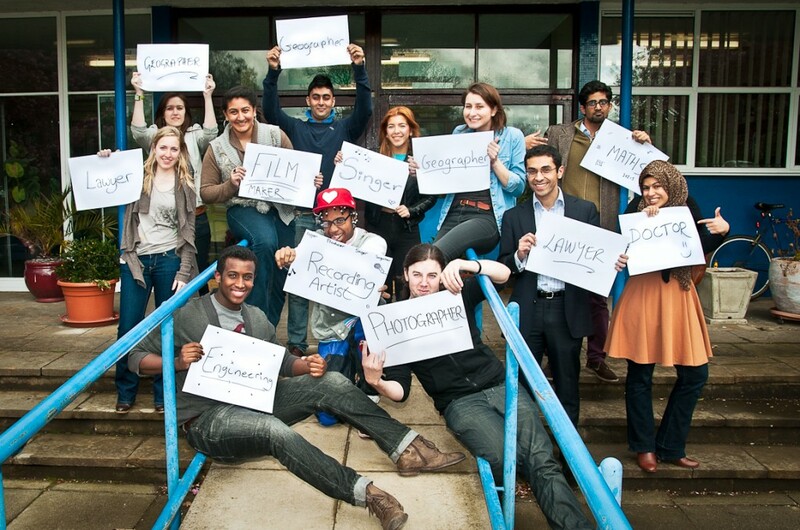 On Kingsbury High School’s Aim Higher Day on Wednesday 18 April 2012, former students volunteered to come back to school to give the current intake a personal insight into both university life and pursuing a successful career…. Up-and-coming producer, singer, rapper, dancer and former Kingsbury High School student who goes by the name of V.A.S. has returned to the school to film his latest music video called Butterfly. V.A.S. recognises the importance of being a positive role model to young people, not only through his music, but also through motivational talks at High Schools and through his work with youth focused organisations such as Nutmeg Community. V.A.S. says his inspiration for Butterfly was “remembering how it feels to have a crush on someone and the feeling of having that first crush in school where you start smiling just because the girl you like is there, forgetting about football, computer games, cars and everything else.” V.A.S. however, didn’t forget about his education and after leaving Kingsbury High School five years ago, went on to graduate from Middlesex University with a 2.1 honours degree in Business & Economics. Butterfly was released on Monday 09th April 2012 and is available to buy on itunes. 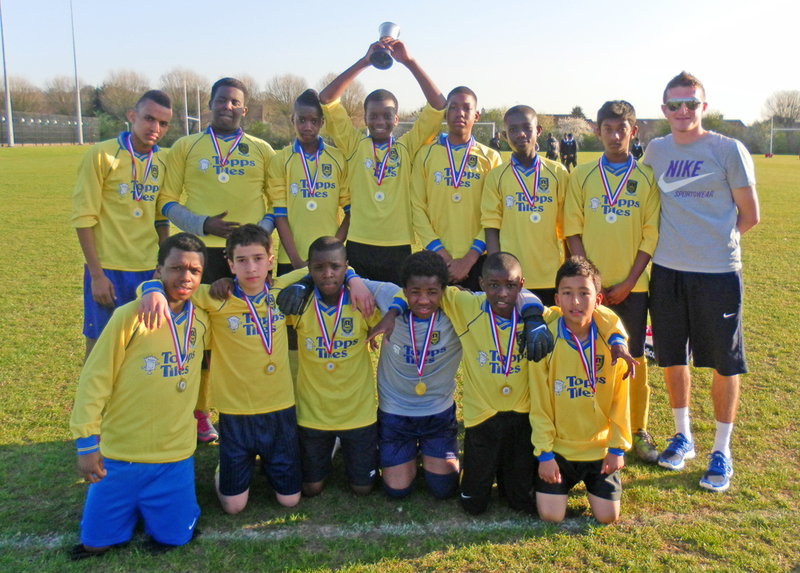 Congratulations to the Year 8 football team who became Brent Champions after beating Preston Manor 7-2 in the final in March.